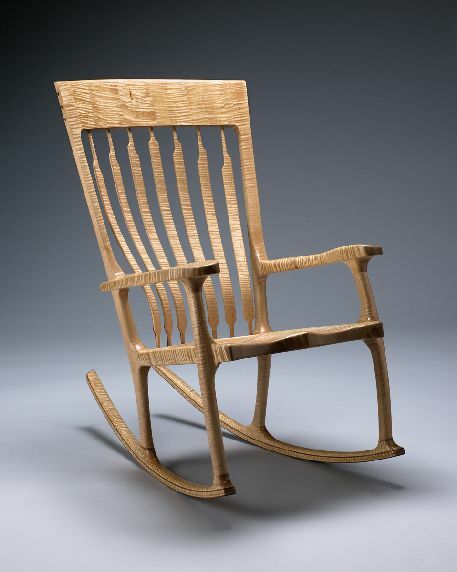 This Sam Maloof inspired rocking chair is made out of beautiful tiger maple with walnut accents. 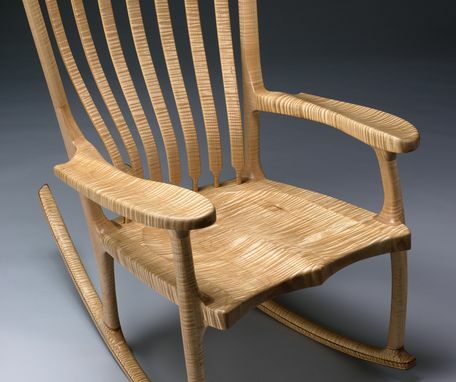 The back slats are flexible and conform to the unique shape of your back. Guaranteed to be the most comfortable chair you'll ever sit in and designed to fit you like a glove! Please inquire about custom wood types.